Dubai-based logistics and express delivery firm Aramex said full year net profits increased by 37% to AED426.6m (US$116m), compared with AED311.3m (US$84.8m) in 2015. The net profit for Q4 reached AED131.8m (US$35.9m), which represents a record increase of 129% compared with AED57.6m (US$15.7m) reported in Q4 2015. Strong growth in cross-border e-commerce continued to be a primary driver of these revenues, especially in Asia, Europe and the U.S. markets. The domestic express business saw revenues of AED247m (US$67.2m) in Q4, an increase of 30% over the same period in 2015. This was primarily driven by the acquisition of Napier, New Zealand-based Fastway Limited. 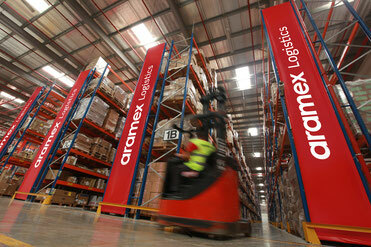 Aramex’s logistics and supply chain management activities increased by 29% in Q4 to AED67.3m (US$18.3m). This increase is mainly attributed to Aramex’s investment in AMC Logistics’ Joint Venture in Egypt, which became part of Aramex’s financial consolidation starting January 2016. Freight revenues, however, decreased by 9% to AED 272m in Q4. “Freight continued to be affected by lower selling rates, which was driven by lower oil prices and global currency fluctuations,” Aramex said in a statement. Commenting on the results, Hussein Hachem, Aramex CEO said: “Despite global economic uncertainty and the slowdown in the GCC region, our asset-light business model enabled us to respond quickly to volatility, outperform the market and deliver on our promise." As earlier reported by CargoForwarder Global, Aramex completed some major acquisitions and partnership deals last year. In January, it acquired Fastway, a leading courier service provider headquartered in New Zealand, which strengthened its presence in Australia and New Zealand, while it also formed a joint venture with Australia Post to launch “Aramex Global Solutions”, a “hybrid” product accessible through postal offices worldwide.